Monarch Air Group provides private air charter in Plano, TX. Our clients benefit from top-notch service, unrelenting dedication to safety, wide selection of aircraft, and years of experience in chartering private jets. To obtain a free quote, please use our online quoting tool provided below, or call toll free 1-877-281-3051. Monarch Air Group provides private jet charter flights in and out of Plano, Texas, USA. Plano is a city in northeastern Texas, northeast of Dallas. A total area is 71.6 square miles. With a population of about 269,776 people, Plano is the 9th most populated city in the state of Texas. 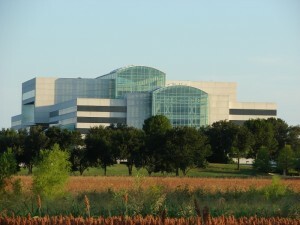 It is a home to some corporate headquarters, including Alliance Data, Dell Services, Cinemark Theatres, Frito-Lay, Dr Pepper Snapple Group, Ericsson, HP Enterprise Services, J. C. Penney, Huawei, Pizza Hut, Siemens PLM Software, Traxxas, and Rent-A-Center. In 2005, CNN Money magazine designated Plano as the best place to live in the Western United States. The most popular tourist attractions include Arbor Hills Nature Preserve, Oak Point Park & Nature Preserve, Historic Downtown Plano, Heritage Farmstead Museum, Interurban Railway Museum, ArtCentre of Plano, Prestonwood Baptist Church, and some others. The nearest airports are Dallas Love Field (DAL / KDAL), which is located 20 miles from the city, and Dallas/Fort Worth International Airport (DFW / KDFW), which is located 29 miles from Plano. 1. ADS, Addison Airport, Dallas, United States. 2. AFW, Fort Worth Alliance, Fort Worth, TX, United States. 3. DAL, Love Field, Dallas, United States. 4. DFW, Dallas/Fort Worth International, Dallas, TX, United States. 5. DNE, Dallas North Airport, Dallas, United States. 6. DUA, Eaker, Durant, United States. 7. FTW, Meacham Field, Fort Worth, United States. 8. FWH, Fort Worth NAS Jrb/Carswell Field, Fort Worth, TX, United States. 9. GLE, Municipal, Gainesville, United States. 10. GVT, Majors Field, Greenville, United States. 11. JDB, Downtown Heliport, Dallas, United States. 12. PNX, Grayson County, Sherman-Denison, United States. 13. RBD, Redbird, Dallas, United States. 14. SLR, Sulphur Springs, Sulphur Springs, United States. 15. TRL, Terrell Municipal Airport, Terrell, United States. 16. WEA, Parker County, Weatherford, United States. 1. Holiday Inn Express Plano East, 700 East Central Parkway, Plano. 2. Extended Stay Hotel – Candlewood Suites Hotel Dallas Plano East, 2401 E. George Bush Turnpike, Plano – East. 3. Holiday Inn Express Plano East, 700 East Central Parkway, Plano. 4. Renaissance Dallas Richardson Hotel, 900 East Lookout Drive, Richardson. 5. Extended Stay Hotel – Candlewood Suites Hotel Dallas Plano East, 2401 E. George Bush Turnpike, Plano – East. 6. Hyatt Regency North Dallas, 701 East Campbell Road, Richardson. 7. Holiday Inn Express Plano East, 700 East Central Parkway, Plano. 8. Renaissance Dallas Richardson Hotel, 900 East Lookout Drive, Richardson. 9. Extended Stay Hotel – Candlewood Suites Hotel Dallas Plano East, 2401 E. George Bush Turnpike, Plano – East. 10. Holiday Inn Express Plano East, 700 East Central Parkway, Plano.